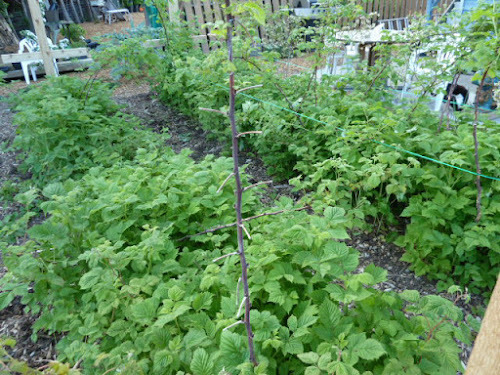 My Home and Garden: Reining in the raspberries. Pulling rogue canes. 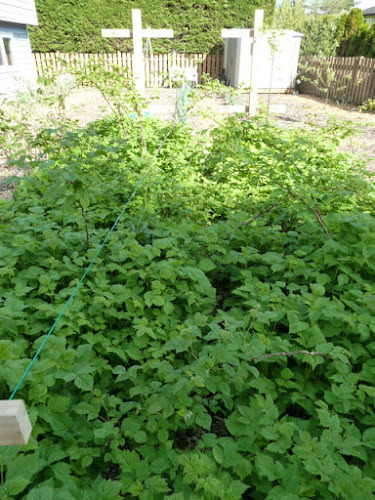 This is the raspberry bed completely out of control. And below, after a lot of scratches and sweating, it is under control. 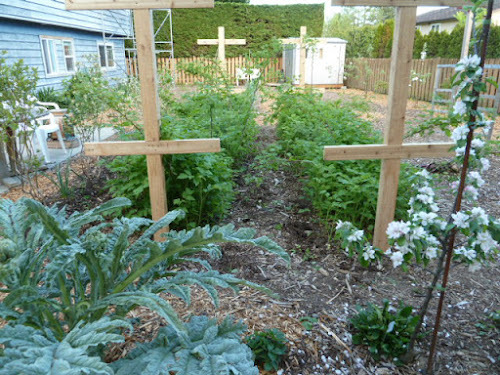 I spent an hour in the unseasonably hot sun pulling raspberry canes that were growing outside of the new boundaries made by the framework. What I discovered really quickly is that if you pull small canes, they break off and, of course, will just grow right back. If you wait until they are a foot or more tall and the stems have dark marks where the prickles will be, they not only pull out, but they come with the root and will pull much of the running root as well. Good to know, as I'm pretty sure I'll be doing this a couple times a year.....at least.